The Landmark is situated in a prominent position on High Street and Back Turner Street. High Street is one of the most established retail and leisure pitches in Northern Quarter. 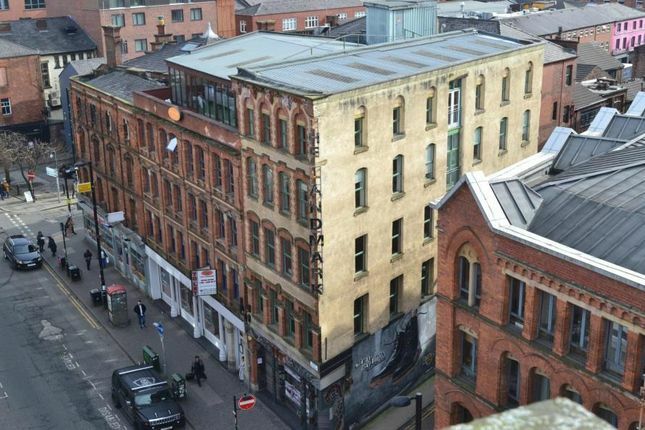 It is also one of Northern Quarter’s creative and media hubs. Nearby occupiers include Oklahoma, Bluu, Almost Famous, 63 Degrees and tnq Restaurant. The Landmark benefits from excellent transport links with Manchester Piccadilly, Victoria and Shudehill being within a ten minute walk.